This stainless steel bottle is double-wall insulated, keeping drinks hot or cold all day long! Its secure fitting lid and silicone seal eliminates leaks and fits most cup holders! 10.5in H x 3.75in diameter. Stainless Steel, BPA Free Plastic Lid. 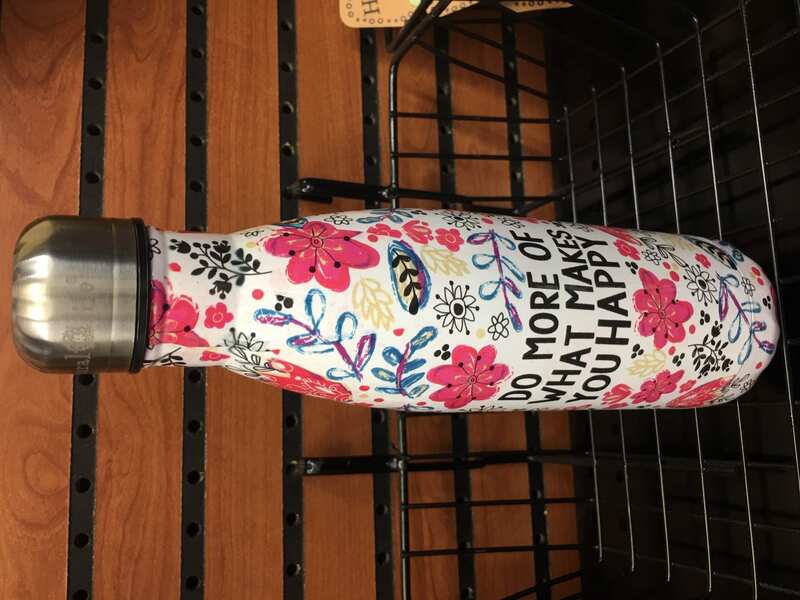 Double-wall, stainless steel water bottle features lid with rubber seal to keep drinks cold (or hot!) for up to 12 hours. Hand wash, not recommended for dishwasher. Do not microwave.